Just like swimming pools themselves have changed with time, pool fences have become quite different over the years than they were in the beginning. 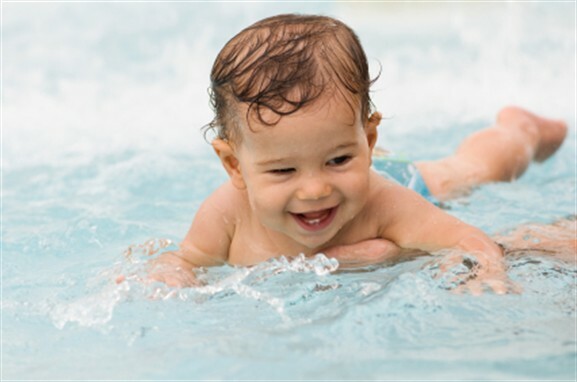 And while it’s important to have a fence around your swimming pool for many reasons, it’s even more important to have a baby fence, to ensure that the littlest ones among us are protected from harm. Here we will be discussing the three basic types of fence available today for swimming pools, their advantages and disadvantages, with a big nod to baby fences. This has become the most sought after type of pool fence in the country today thanks to its long-lasting durability and sophisticated appearance. The process of powder coating is used with this fence. What this means is that the aluminum is coated with a dry powder which is put on as a free flowing agent rather than ordinary paint. Wrought iron fence is totally different. This material is exceedingly heavy and has a painted surface. It’s a fact that iron fence is seldom used around pools because of its tendency to be a lot more costly and takes a lot more time and effort to maintain. This type of fence is often used around pools. It comes in two basic styles: standard fence, which is 48″-54″ tall with with either solid slats or spaced pickets; and, if you insist upon your privacy, a privacy fence, which is 6′-7′ tall with the slats butted together to make a solid panel. A lot of people like to have lattice or spindles added for the top foot of the fence to make the design look more attractive. If you think you might like this kind of fence, it is ideal for privacy, low maintenance, has many styles to choose from, and another plus is that many manufacturers can adapt their styles to custom heights for only a minimal or no extra charge at all. The main concerns with this type of fence is that the gates start to sag after a while, and if your pool is located in a wet shady area, mildew can form on the fence. Even though wood tends to be dominated by PVC and aluminum because of their low maintenance benefits, it has still remained highly popular. In fact, thousands of wood fences are placed around pools annually. It’s a completely natural material, it’s easy to customize, and looks good too. Along with all the types of fences listed above, there is also mesh fence good for areas with compounds with children and babies. It’s a great baby fence, because this fence can be removed and a child or baby can’t climb it because it lacks foot holds. Many mesh fences also come with a self-closing, self-latching pool gate, which has no top cross bars. Perfect for keeping children safe.